Sennheiser CX 1.00 review | What Hi-Fi? You’re much more likely to pick up the Sennheiser CX 1.00 earphones based on the company’s solid reputation than their looks – and the German brand knows it! It appears to have finally tied the knot in the brand/consumer relationship and no longer feels obliged to make too much of an effort with appearance. Certainly not at the budget end, anyway (lest we forget, the Sennheiser Orpheus headphones). Sennheiser simply hasn’t appeared to spend too much time on the aesthetic design here. 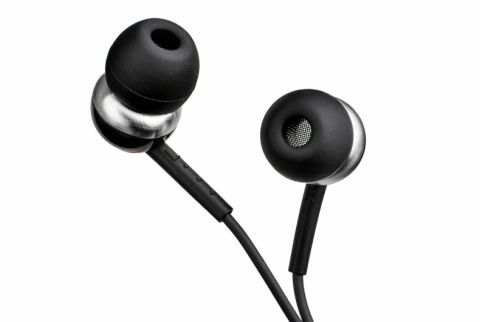 Available in black or white, the CX 1.00 in-ears have a basic, understated look which, but for some minimal branding on the buds, could be largely captured by a four-year-old’s silhouette drawing. At this price point, we don’t feel too hard done by, though. The Sennheiser CX 1.00 earphones don't have an in-line remote, which will frustrate some, so you'll have to deal with the First World problem of taking your phone from your pocket and lifting it to your ear. But for £25, it's perhaps no surprise that every possible feature isn't ticked off the list. The CX 1.00s feel well made and their svelte physique, weighing just 10g, plays into the hands of comfort – as do the four different sizes of supplied ear tips. We apply the ones that give us the best seal, and hear straight away, just as we did with the four-star Sennheiser CX 3.00 earphones, that clarity and balance take precedence in these Sennheiser headphone’s presentation. Instruments and vocals alike sound pleasingly direct, and the Sennheiser CX 1.00s pay the same amount of attention to each frequency band. Either side of a lucid midrange, bass is taut, and highs are crisp, the latter just about keeping the right side of edgy when dealing with brighter recordings. Their skill set isn’t restricted to entry-level stuff, either. There’s the timing and dynamics to keep you hooked to Nils Frahm’s piano playing in Ambre, and while they could be more detailed – they don’t quite hang onto every harmonic – and deliver more substance behind the notes, there’s ample insight to hail them a comfortable and entertaining listen. Surprise, surprise! The Sennheiser CX 1.00 earphones are yet more solid, if not special, performers from Sennheiser. We can’t hide the fact we’d easily part with an extra £15 for the Soundmagic E10C’s improved sound and features, but if you don’t mind manually answering calls and aren’t buying headphones to fish for compliments, the CX 1.00s are a good budget option.